Rangers won a Pittodrie thriller, Celtic beat managerless Hibs while Motherwell also won. Rangers defeated Aberdeen 4-2 in a thriller at Pittodrie as Alfredo Morelos and Scott McKenna were sent off. 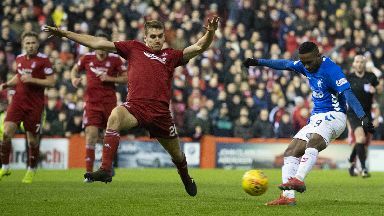 Premiership top goalscorer Morelos finished coolly either side of in-form Dons striker Sam Cosgrove's well-taken equaliser to edge the visitors into an early lead. The Light Blues doubled their advantage before the break when they were awarded a fifth penalty in 135 minutes of action. Connor Goldson's flick-on hit Dons defender Scott McKenna's raised arm and referee Bobby Madden pointed to the spot, with James Tavernier's penalty just evading Lewis' reach. Aberdeen halved the deficit within moments of the restart when Tavernier hauled down Ferguson in the box and Cosgrove drilled the resulting penalty under Allan McGregor. Morelos received another red card at Pittodrie after clashing with McKenna. The Colombian appeared to leave his boot in following a tangle of legs and the Dons' centre-half kicked out. Derek McInnes' side pushed hard for an equaliser but their hopes were dashed in the dying moments when substitute Jermain Defoe found space on the counter-attack and drilled the ball into the net. Celtic maintained their six-point lead at the top of the Premiership by defeating managerless Hibs 2-0. Goals either side of the break from Ryan Christie and Oliver Burke made the difference. Jeremy Toljan, making his first start for the Hoops since moving from Dortmund, hit the byline before cutting the ball back for Christie to control and finish in the 24th minute. Scotland international Christie then turned provider on 63 minutes by playing through Burke, whose deflected effort looped over the keeper and into the net. 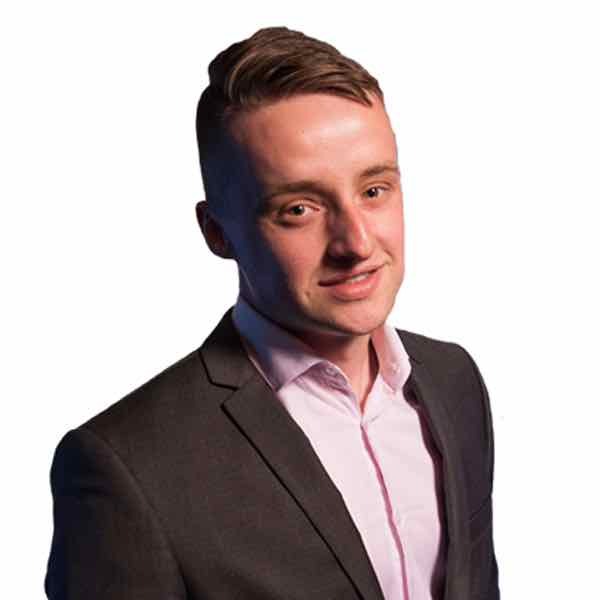 Since the turn of the year, champions Celtic have now won six games in a row and found the net 16 times without conceding. Daniel Bachmann saved Kenny Miller's last-minute penalty to earn Kilmarnock a point at Dens Park. Andrew Nelson opened the scoring for Dundee after eight minutes, finding space in the box before striking the ball past Daniel Bachmann. Conor McAleny found the net on his Killie debut after picking up Kirk Broadfoot's pass to level the scores on 18 minutes. Nelson's second of the night restored Dundee's advantage, with the recent Dark Blues recruit drilling the ball home from the edge of the box. But Kilmarnock levelled again on 53 minutes thanks to Chris Burke's curling free-kick from 25 yards out. Miller had the chance to win it with the last kick but the veteran forward saw his penalty denied thanks to an outstanding stop by Bachmann. Brian Rice secured his first win as Hamilton boss thanks to a double from George Oakley. Oakley opened his Accies goalscoring account when he got on the end of a free-kick after 67 minutes. St Johnstone restored parity with quarter of an hour remaining when Liam Craig arrived at the back post to convert Chris Kane's cross. But Oakley made it 2-1 to the home side shortly after by blasting the ball past Zander Clark from Tony Andreu's delivery. The victory sees Accies move out of the bottom two. Hearts and Livingston played out a goalless draw at Tynecatle. Jam Tarts goalkeeper Colin Doyle impressively denied the visitors on a couple of occasions, with Hearts unable to find a breakthrough at the other end. Jake Hastie scored a screamer as Motherwell beat St Mirren 2-1. The teenage wide-man scored twice at the weekend to help the Steelmen defeat Livingston 3-0. And Hastie continued where he left off in Paisley by drifting in off the right and unleashing an unstoppable strike in off the bar. Paul McGinn scored a header on 73 minutes to bring the Buddies back level. But the Steelmen regained the advantage four minutes later when Allan Campbell headed home to continue Well's fine run of form.